Houston residents will be among the first in the country to access the internet at faster-than-ever speeds. At least that's the promise. Verizon recently announced it will bring a broadband-like version of its 5G wireless technology to the city sometime this year. The technology, heralded as the next generation of internet speeds, will make the process of loading websites, downloading songs and streaming movies at least 10 times faster than 4G. The carrier plans to bring the same type of fixed wireless 5G to Sacramento, California, and Los Angeles later this year and launch mobile 5G in select cities in 2019. CNN's parent company AT&T (T), along with Sprint (S) and T-Mobile (TMUS), have also set their sights on 5G. AT&T says it's on track to debut a small mobile 5G wifi hotspot device that fits in the palm of your hand. The device, which can be placed in homes or cars and provide 5G to mobile phones, is expected to launch in 12 cities by the end of 2018. While companies like Verizon are already experimenting with 5G, it likely won't replace 4G in the United States before 2020. But the efforts underway are laying the framework for a technology that could truly impact the way we access the internet in the future. Related: T-Mobile and Sprint say they need each other to build 5G. Do they? The slow rollout highlights one of the biggest challenges facing the technology: Smartphones and cellular devices don't yet support 5G. Meanwhile, Verizon's plan for Houston uses fixed wireless 5G, which works like broadband internet and devices must be connected to it within a certain range. If successful, the introduction of 5G in Houston could radically change the way people access the internet. Dan Hays, an adviser at PricewaterhouseCoopers' consulting firm, said the rollout could be a game changer for Houston, which is home to more than 2.3 million people. Hays said greater access and availability is one of the biggest benefits of Verizon's fixed wireless launch. "There are still large areas of the US, including in some cities, where you can't get broadband," Hays said. "This may bring broadband to people who have never had it because it's so much quicker to set up a fixed wireless 5G connection than it is to bury miles of wire and lines underground." About 19 million Americans still don't have access to broadband internet. People in rural and impoverished areas are more likely to be without broadband. Verizon has committed to installing the technology in five underserved and low-income neighborhoods in Houston as part of its launch. Sprint (S) CTO John Saw told CNNMoney that if the company's merger with T-Mobile (TMUS) is approved, it may have the resources to launch in those regions too. Residents will likely benefit from having more internet options. Cable operators, which currently deliver broadband, tend to get exclusive access to a city or area in exchange for providing and meeting certain standards of service. Wireless companies such as Verizon and AT&T aren't bound by those restrictions, which means they can exist in the same areas and provide 5G as an alternative way to get online. "I can only get one broadband supplier where I live and they can charge me whatever they want and customer service can be whatever they want," Hays said. Houston and other cities with 5G could be an enticing area for people looking to run or start businesses. 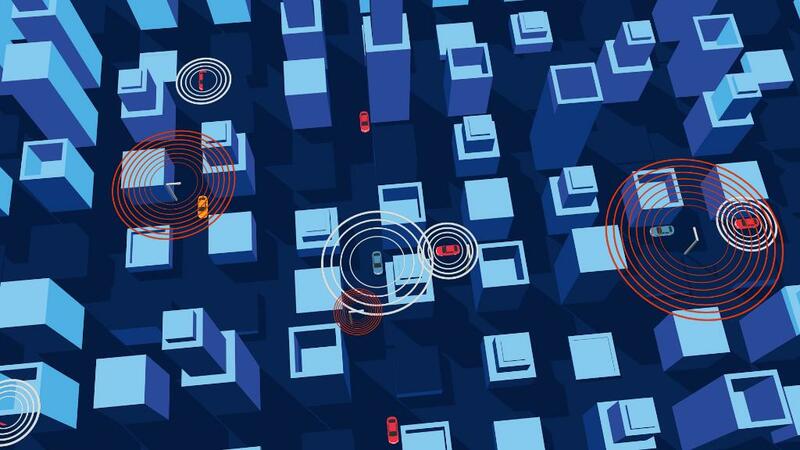 It's likely 5G will serve as the backbone of the so-called Internet of Things, the term for connecting devices like your car of coffee machine to the internet. Houston's Mayor Sylvester Turner also sees the value in being at the forefront. "We expect 5G will be a game changer helping us usher in a new wave of progress and innovation," Turner said in a statement. As other carriers expand and overlap coverage, cost will likely become competitive too. But it's unclear as of now what pricing will look like. But one thing is certain: Getting 5G off the ground is no easy or cheap task. 5G travels over super high-frequency airwaves via tiny cell towers, which can be installed on existing telephone poles or on the sides of buildings. The receivers are so small and have to be so close together that outfitting 5G across the US is a Herculean endeavor. In fact, according to Barclays estimates, it could cost up to $300 billion to do so. "All of the operators will get to all major cities eventually," Hays said. "It's just a matter of time."